Converse has done 80s and 90s babies everywhere a service with their Super Mario Bros. 25th Anniversary shoes. Anyone who has played any Mario, nay, any Nintendo game at all can appreciate these. 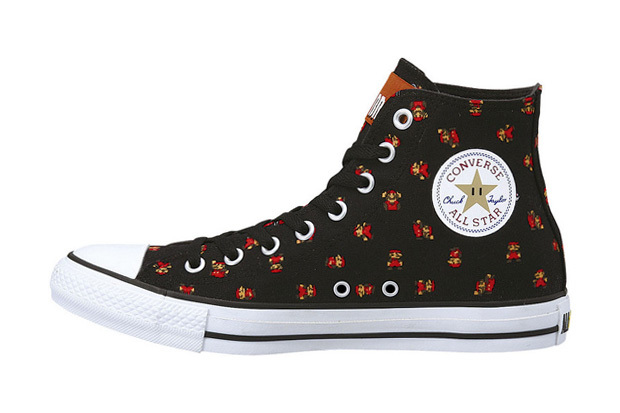 From the retro NES Mario figures littering the background to the Invincible Star taking the place of the traditional Converse logo, the kicks have style. Right now they’re only available in Japan, but are slated for a July release stateside. Until then, we’ll just have to salivate.